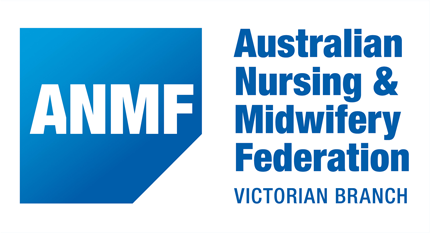 The Victorian Collaborative Mental Health Nursing Conference (VCMHNC) is seeking abstracts for presentations on the specialist practice of mental health nursing across the breadth of service settings: public, private, clinical, community and non-traditional. We welcome abstracts from practising clinicians at any stage of their career, as well as from nursing academics, students & researchers. We also encourage abstracts from consumers, carers & allied health professionals with a perspective on the ways that mental health nursing practice contributes to better outcomes for service users. Suggested topics are listed at the foot of this flyer (you are not restricted to this list). Graduate nurses and post-graduate nursing students are particularly encouraged to submit abstracts. The guidelines below outline the additional ‘short form’ presentation formats open to you, as well as ways to access guidance and support on your abstract submission. The VCMHNC provides an accessible and supportive environment for first time presenters and/or early-career nurses to gain presentation experience, as well as contribute their perspectives to the program. All first time presenters will be eligible for the 2019 First Time Presenters Prize. Abstracts should not exceed 200 words and are invited for 20-minute paper presentations. Please keep your abstract title as brief as possible. You can access the submission template and submit your abstract here. You will be advised of the outcome of your abstract submission in early May. Abstracts should not exceed 200 words and are invited for either 20-minute paper presentations, 10-minute ‘brief’ presentations, or 5-minute ‘Rapid Fire’ group presentations. You’ll find more detail on these formats below. Option to present as a group: Consider ‘teaming up’ with one or more of your fellow graduate nurse or post-graduate colleagues, to deliver a series of shorter-format presentations in one back-to-back 'slot' in the program. Note that the 5-minute ‘Rapid Fire’ format is only available for group presentations. See ‘About presenting as a group’ (below) for more detail. Please note that, for programming purposes: 1) group presentations must consist of an even number (either two, four or six presentations), 2) all members of the group must choose the same presentation format, and 3) the total running time of each group session proposed must not exceed 40 minutes. This format is only open to group presentations with four presenters or more. See ‘About presenting as a group’ (above) for more detail. Each ‘Rapid Fire’ presentation is strictly 5 minutes long, and you are restricted to a maximum of three slides in this timeframe. You are welcome to submit an abstract for a single 10-minute presentation, or you can submit a ‘group’ abstract where the group delivers multiple 10-minute presentations in succession. See ‘About presenting as a group’ (above) for more information. If you choose to invite questions at the end of a 10-minute presentation, you must finish your presentation early in order to allow one minute for each question & answer. Eg: for two questions, finish your presentation at 8 minutes allowing two minutes of Q & A.